At the June 19, 2018 Regular meeting of the Vancouver & District Labour Council, delegates present passed the following motion in support of boycott, divestment, and sanctions against Israel in response to the country’s actions against the Palestinian people. THE VANCOUVER AND DISTRICT LABOUR COUNCIL WILL FINALLY oppose all efforts to prohibit, punish or otherwise deter expressions of support for BDS. The CLC is the largest labour organization in Canada, representing 3.3 million Canadian workers. The CLC’s endorsement of “Peace in Palesine” follows on more than 50 years whereby the CLC has supported policies and programs that seek to promote positive social change. 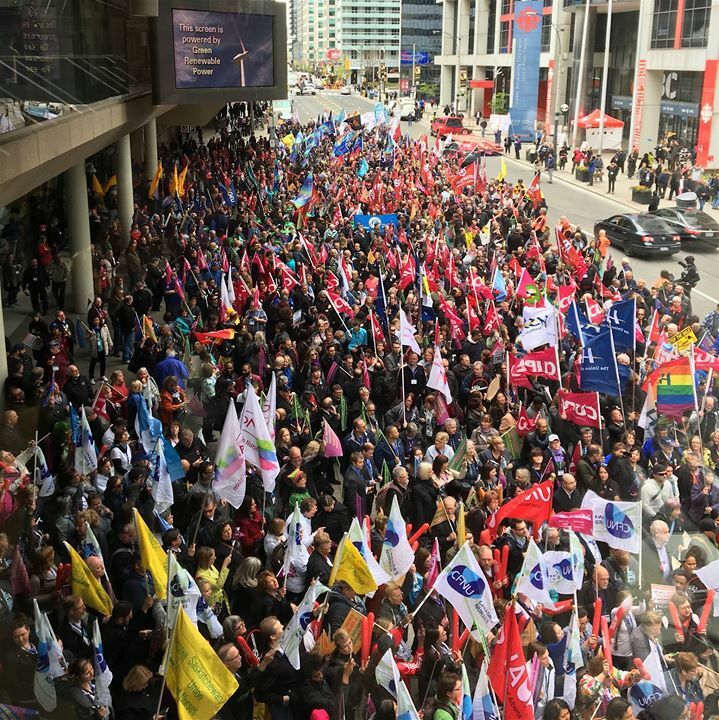 CJPME President Thomas Woodley responded enthusiastically, “We are excited to see Canada’s largest labour organization boldly stand up for human rights at home and abroad.” CJPME encourages other Canadian civil society organizations to stand up for social justice as the CLC has. A core component of the Peace in Palestine campaign is a Parliamentary ePetition calling on the government to “demand that Israel immediately and completely cease all settlement activities in the occupied Palestinian territories.” The ePetition mirrors the wording of UN Security Council resolution 2334 (December 2016), and has the sponsorship of NDP Foreign Affairs Critic Helène Laverdière. CJPME has launched a four-month cross-Canada campaign promoting this Parliamentary petition and the follow-up Parliamentary motion CJPME hopes this campaign inspires. Over 70 unions and organizations have already endorsed the Peace in Palestine campaign. Other organizations wishing to endorse the campaign may do so on-line. Canadian individuals are also encouraged to sign the Parliamentary ePetition, thus demonstrating support for the “Peace in Palestine” campaign, respect for Palestinian human rights, and promoting peace between Israelis and Palestinians. 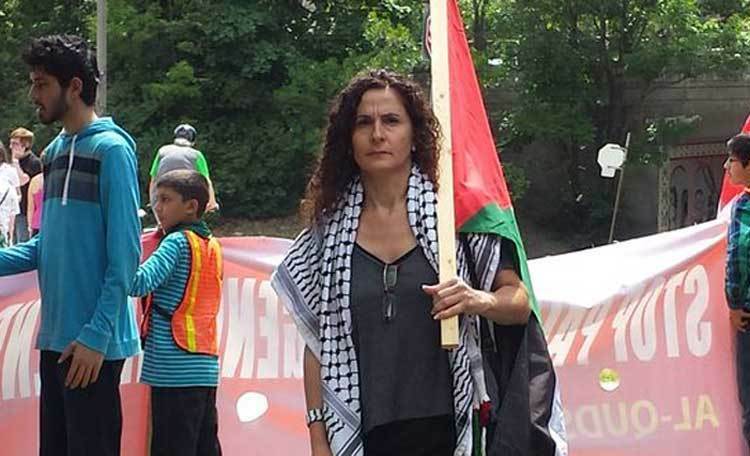 Canadian teacher Nadia Shoufani has won a significant free-speech victory after a year-long battle and a prolonged campaign by pro-apartheid Zionist organizations attacking her and attempting to have her fired from her job for speaking about Palestinian prisoners at a public rally in 2016. “A victory for myself, for the Palestine solidarity movement, for freedom of expression! A victory for the Palestinian cause and the struggle of Palestinians!” said Shoufani in a Facebook post on 8 September offering thanks to friends, colleagues and supporters for their consistent support throughout a year of struggle. Shoufani kept her job and defeated the allegations that targeted her as well as ongoing racist campaigns of harassment carried out by far-right groups and individuals. Organizations including B’nai Brith Canada, the Center for Israel and Jewish Affairs (CIJA) and the Friends of Simon Wiesenthal Center Canada were actively involvedi in the campaign to silence Shoufani. “The attack that I was put through was not just an attack against me, it was ultimately against every voice that speaks and calls for the freedom and justice of Palestinians who are living under and suffering daily from a brutal occupation and apartheid, with the ultimate aim to silence them and silence any criticism of ‘Israel’, the occupying power,” Shoufani wrote in her social media post. Shoufani was attacked for her remarks at the 2 July 2006 Al-Quds Day protest, particularly her comments about Ghassan Kanafani and her support for imprisoned Palestinians and strugglers for Palestine, specifically Bilal Kayed – then on hunger strike – and Georges Ibrahim Abdallah. She linked the attack on Kayed and fellow Palestinian prisoners to the imprisonment of Georges Ibrahim Abdallah, Lebanese Arab struggler for Palestine, imprisoned in French jails for 33 years, demanding his immediate release. Shoufani was defended after being suspended with pay by her Toronto-area Catholic school board by her trade union, the Ontario English Catholic Teachers’ Association. Union activists, Palestine solidarity organizers, professors and organizers collectively spoke out in support of Shoufani and against the attacks from right-wing organizations attempting to silence her and force her from her teaching position. 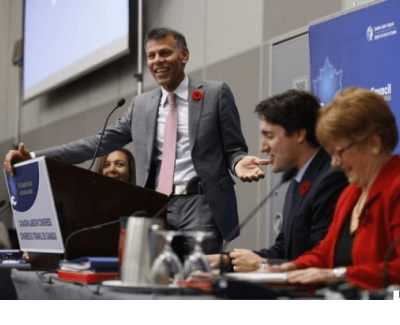 The attack on Shoufani has come in the context of ongoing attacks on freedom of speech about Palestine in Canada, including attempts to legislate against BDS and parliamentary resolutions denouncing boycott campaigns. This comes amid an ongoing, relentlessly pro-Zionist policy pursued by the Liberal government under Justin Trudeau, continuing the notoriously anti-Palestinian policy of Conservative Stephen Harper. Canadian support for Israeli occupation didn’t begin with Harper, but dates back to the Balfour Declaration and Lester Pearson’s recommendation to the United Nations to create the Israeli state. This role has always been distinctly related to the Canadian state’s own settler colonial nature, based on the continuing dispossession and genocide of Indigenous peoples. Recently, Niki Ashton, a leading candidate for the leadership of the New Democratic Party (NDP) in Canada, was attacked by B’nai Brith and other pro-apartheid organizations for participating in a rally commemorating the Nakba and in support of Palestinian political prisoners. In particular, right-wing Zionist organizations attacked Ashton for speaking in front of a sign urging freedom for imprisoned Palestinian leader Ahmad Sa’adat, the General Secretaty of the Popular Front for the Liberation of Palestine. Following the attacks, rather than backing down, Ashton reiterated her support for Palestinian rights and noted that it was “powerful to join many at a rally in solidarity with those on hunger strike in Palestine.” Ashton is one of the front-runners in the NDP leadership campaign and has won support from many youth and progressive voices. Congratulations to the Unifor’s Canadian Council on easily passing a pro-Boycott Divestment and Sanctions (BDS) motion at their recent convention in Winnipeg, between August 18-20. During the summer 2014 bombing of civilians in Gaza, the Palestinian trade union movement, with support from the Congress of South African Trade Unions (COSATU) and its affiliates, unanimously called on international trade unions to take immediate action to stop the Israeli massacre in Gaza and hold Israel to account for its crimes against the Palestinian people. Our heartiest congratulations to members of Unifor Local 222 who crafted, submitted and argued in favour of the successful motion supporting BDS tactics. b) Work with global union federations, affiliates and civil society organizations in Canada on campaigns in support of Palestinian prisoners. BECAUSE The CLC supports the right of the Palestinian people to national self-determination and an end to the illegal Israeli occupation as the basis for a just peace in the region. This important resolution follows on strong, growing international labor movement and trade union support for Palestinian prisoners and the Palestinian struggle for justice, self-determination and liberation. On 12 May, the Norwegian Confederation of Trade Unions (LO), which represents nearly one million workers in Norway, endorsed a full international economic, cultural and academic boycott of Israel as a necessary means to support fundamental Palestinian rights. The Congress of LO unanimously supported some form of boycott of Israel, as 193 delegates voted for a full boycott and 117 voted for a limited boycott of Israeli settlements. The strong majority of the LO congress embraced a full boycott of Israel, emphasizing the importance of meaningful international action in the face of impunity and apartheid. The LO vote escalated the existing position of the labor confederation in support of the boycott of settlement products. This important action came as 1500 Palestinian prisoners have been engaged in a hunger strike since 17 April for their basic human rights, including an end to the denial of family visits, proper medical treatment and health care, the right to pursue distance higher education, and an end to solitary confinement and administrative detention, imprisonment without charge or trial. “We believe that as trade unionists and conscious citizens of this world, we have duty and power to take a stand. We stand in solidarity with Palestinian prisoners on hunger strike in their demand for fair treatment and justice. We commit to working within our respective unions not to renew contracts with corporations like HP and G4S profiting from the imprisonment of Palestinians. In addition we call on the EU and European member states to end their complicity and hold Israel accountable for its gross violations of human rights,” emphasized the unions, including labor organizations in Belgium, France, Ireland, Norway, the UK, Galicia, Basque Country, Valencia, Scotland, Ireland, Poland, the Netherlands, Catalonia, and Luxembourg. Meanwhile, the National Union of Teachers in the UK has joined several other international labor unions in being an HP-free zone. Kevin Courtney, general secretary with the National Union of Teachers, said in the Electronic Intifada that “the NUT does not buy or use HP products or services as a gesture of solidarity with the Palestinian people.” HP provides services and technologies to the Israeli military as well as the Israel Prison Service, and the boycott of HP is a priority for BDS campaigns in support of Palestinian prisoners. These statements followed declarations by the World Federation of Trade Unions, representing 92 million workers in 162 countries, and the International Trade Union Confederation, representing 181 million workers in 163 countries, in support of the Palestinian prisoners’ hunger strike. The WFTU statement “expresses its firm internationalist solidarity with the more than 6700 Palestinians, including 389 children and 56 women, currently imprisoned by the Israeli occupation forces. In South Africa, among the endorsers of the South African Campaign for Palestinian Political Prisoners is the Congress of South African Trade Unions (COSATU) as well as the South African Municipal Workers Union. Sidubo Dlamini, the President of COSATU, is joining in the broad one-day hunger strike in South Africa in support of Palestinian prisoners, alongside government officials, anti-apartheid struggle veterans and former political prisoners. This support comes amid a growing campaign in the international labor movement in support of Palestinian rights, including an end to occupation and apartheid, full equality for all and Palestinian refugees’ right to return to the homes and lands from which they were expelled. Unions endorsing BDS include COSATU, CUT in Brazil, CSN in Quebec, the Canadian Union of Postal Workers, the Irish Confederation of Trade Unions and the United Electrical, Radio and Machine Workers (UE) in the United States. Unions in Scotland, Canada, the UK, Sweden, Belgium, the Basque Country, Uruguay and many other countries have also taken a stand in support of Palestinian rights and the campaign for boycott, divestment and sanctions. Workers’ struggles and popular movements like the Landless Workers’ Movement (MST) in Brazil have been strong supporters of the Palestinian struggle – including that of the Palestinian prisoners – for many years. We urge all labor organizations and workers’ movements to express their solidarity and support for the Palestinian prisoners’ hunger strike, for the Palestinian people’s struggle for liberation and for the campaign for boycott, divestment and sanctions against Israel. The majority of Palestinian prisoners are Palestinians of the popular classes: workers, from the villages, the refugee camps and the cities. The international workers’ movement is engaged in a battle confronting capitalist exploitation, oppression and austerity around the world. The Palestinian prisoners in their battle for dignity and freedom are on the front lines not only of the struggle for Palestinian freedom, but for social justice and human liberation in the world today. L’atelier mettra l’accent sur les conditions de travail et de vie de la classe des travailleuses et travailleurs palestiniens, la lutte pour la justice sociale, le travail décent, les réalités particulières du travail syndical sous un régime d’occupation, les défis du mouvement ouvrier et la lutte politique pour la libération de la Palestine. Ensuite, la discussion sera ouverte sur la façon dont les syndicats et les organisations à l’extérieur de la Palestine peuvent agir en solidarité avec les travailleuses et travailleurs palestiniens. The workshop will focus on the conditions of the Palestinian working class, the struggle for social justice, decent work, the particular realities of the union work under an occupation regime, the challenges of the Labor movement and the political struggle for the liberation of Palestine. The discussion will then open on how unions and organizations outside Palestine can act in solidarity with the Palestinian Workers. El taller se centrará en las condiciones de trabajo y de vida de la clase trabajadora palestina, la lucha por la justicia social, el trabajo decente, las realidades particulares del trabajo sindical bajo un régimen de ocupación, los retos del movimiento obrero y la lucha política por la liberación de Palestina. A continuación, la discusión se abrirá en cómo los sindicatos y organismos fuera de Palestina pueden actuar en solidaridad con los trabajadores palestinos. Coalition Against Israeli Apartheid (CAIA) Congratulates Canadian Union of Postal Workers (CUPW) on Historic Boycott Resolution! CAIA extends its warm congratulations to the delegates of the Canadian Union of Postal Workers national convention held in Ottawa, Canada, April 13-17th 2008. At the convention, CUPW passed an historic resolution, Resolution 338/339, in support of the global campaign of boycotts, divestment and sanctions against Israeli Apartheid. This resolution is an extremely significant landmark for the Palestinian solidarity movement in Canada. It represents the first time in North American history that a national union has passed a BDS resolution. The resolution recognizes Israel as an apartheid state and expresses CUPW’s support for boycott and divestment from Israel. It was passed almost unanimously after nearly one hour of discussion on the convention floor. CUPW represents more than 50, 000 postal workers across Canada and has been at the forefront of campaigns against privatization and deregulation at Canada Post. The union has a proud history of international solidarity. During the South African apartheid years, CUPW was at the forefront of labour solidarity with South African workers and engaged in concrete actions such as the refusal to handle mail from South Africa. The resolution states that CUPW will work “Š with Palestinian solidarity and human rights organizations to develop an educational campaign about the apartheid nature of the Israeli state and the political and economic support of Canada for these practices.” The resolution also calls on the Canadian government to increase humanitarian aid to Palestinians who have been affected by the conflict, and commits CUPW to research on Canadian involvement in the occupation. CAIA congratulates CUPW on this vital show of support for Palestinian workers and their families. At a time when the Palestinian people are suffering under brutal siege and daily bombardment this resolution is an important show of solidarity. Today alone, 22 Palestinian civilians, including 5 children, were killed by Israeli attacks in the Gaza Strip. The explicit recognition by yet another Canadian union that Israel is an apartheid state, deserving of international isolation and boycott in the manner of South African Apartheid, is an inspiration for the North American and international labour movements. It is one further confirmation that the Israeli apartheid regime has deservedly become a pariah for progressive movements across the globe. 1) Immediately email and fax the CUPW National office congratulating them on their stand against Israeli apartheid (sample letter below). Please fax your letter of support to CUPW National Office at ++ (613) 563-7861 or email endapartheid@riseup.net and we will pass them on to the CUPW national officeholders. 2) If you are a member of a union then get involved! Please contact the CAIA Labour Committee, Labour for Palestine, at labour@caiaweb.org for ideas and ways to get involved in Palestinian solidarity work within your workplace and union. 3) Visit your local post office and thank the workers for this resolution! Let them know that you appreciate this show of solidarity with Palestine. Thank you for passing the resolution to support the campaign of boycott, divestment and sanctions against Israel. Like South Africa, Israel will have to be subjected to intense international pressure before it recognizes Palestinians as a people with the right to self-determination. Your union played a critical role in the fight against South African Apartheid – it is wonderful to see you taking on this leadership role again in the fight against Israeli Apartheid. No doubt you will come under intense pressure from pro-Israeli, pro-apartheid organizations to reverse this courageous decision, but rest assured that the overwhelming majority of people in the world are not fooled by right-wing, racist rhetoric and the mainstream media bias surrounding this issue. The BDS National Committee (BNC), comprising over 200 Palestinian civil society organizations and including all major Palestinian workers’ unions, salutes the Canadian Union of Postal Workers (CUPW) for their decision to support the international campaign for Boycotts, Divestment and Sanctions (BDS) against the Israeli apartheid regime. This decision, the first of its kind at the national level of a union in North America, constitutes a major step forward in the global struggle for freedom and justice. It further exemplifies the cause of workers’ solidarity against oppression and racism, particularly at a time when Israel is intensifying, with impunity, its acts of genocide against close to 1.5 million Palestinians in occupied Gaza. Israel’s apartheid and colonial policies and practices have resulted in the near collapse of the Palestinian economy, resulting in massive loss of work and livelihood. These policies have had a particularly acute effect on Palestinianpostal workers. The apartheid regime has ensured that there is no Palestinian controlled access to other countries; as a result, all incoming and outgoing Palestinian mail has to pass through the Israeli postal service which routinely delays delivery, often for several months. In the course of fulfilling their duty, Palestinian postal workers have to travel through Israeli checkpoints at which Israeli soldiers regularly delay their passage, often detaining them for hours under the sun or rain, or denying them passage altogether. By virtue of working under conditions of a brutal military occupation, Palestinian postal workers regularly risk imprisonment, injury, and death while at work. This resolution comes at a time when Israel prepares to celebrate the sixtieth year since its establishment, a celebration in which many of the most powerful governments of the world will participate. For sixty years, thePalestinian people have endured and resisted the ongoing displacement of the majority of Palestinians, as well as the land confiscation, military violence, institutionalized racism, and political repression of those who managed to remain in their homeland. CUPW’s resolution is a statement to the world that when the states of the world stand behind oppression and apartheid, it is up to the people of the world to oppose it. We call on the workers of CUPW to ensure that their union implements this historic resolution. We also call on all people of the world to follow CUPW’s example, and work within their societies and institutions to support the isolation of the Israeli apartheid regime until the apartheid system is dismantled, and the Palestinian refugees return to their homes and lands from which they were expelled. Only thus can a just peace based on international law and fundamental human rights be built and maintained. * The Palestinian Boycott, Divestment and Sanctions National Committee (BNC) is a wide coalition of major unions, networks and organizations representing Palestinian civil society. We the undersigned organizations congratulate the Canadian Union of Postal Workers (CUPW) for joining the international boycott of Israeli apartheid. We call on workers and labour unions worldwide to join CUPW in creating a strong and effective labour movement in solidarity with struggles against Israeli apartheid and violence. At the national convention of CUPW, representing over fifty thousand workers across Canada, a strong majority of delegates voted for a resolution in support of the international campaign of boycott, divestment and sanctions against Israeli apartheid. Marking the first time a country-wide labour union in North America has voted to participate in the global campaign against apartheid in Palestine, CUPW’s resolution represents a critical juncture for the involvement of North American labour in this campaign. International support for CUPW’s resolution – which recognizes the Palestinianpeople’s inalienable rights, including the right of return – could prove key to shoring up this victory. In Canada, CUPW has been at the forefront of campaigns against privatization and deregulation of postal services in Canada, while maintaining a proud history of international solidarity. During the South African apartheid years, CUPW played a lead role in labor solidarity with South African workers, engaging in concrete actions such as the refusal to handle mail from South Africa. Israel’s apartheid and colonial policies have resulted in the near collapse of the Palestinian economy, resulting in massive unemployment and bleak poverty. In the West Bank, over 51 % of the population is estimated to live under the poverty line; in Gaza, the figure rises to 81 %. Israel’s policies have had a particularly acute effect on Palestinianpostal workers, as the apartheid regime has ensured that there is no Palestinian-controlled access to other countries. As a result, all incoming and outgoing Palestinian mail has to pass through the Israeli postal service, which routinely delays delivery, often for several months. In the course of fulfilling their duty, Palestinian postal workers are forced to travel through Israeli checkpoints at which Israeli soldiers regularly delay their passage, detaining them for hours under the sun or rain, or denying them passage altogether. Working under a brutal military occupation, Palestinianpostal workers can risk imprisonment, injury, and death in the course of a day’s work. CUPW’s resolution comes at a time when Israel prepares to celebrate the sixtieth year since its establishment, a celebration in which many of the most powerful governments of the world will participate. For sixty years, thePalestinian people have endured and resisted ongoing displacement, land confiscation, military violence, institutionalized racism, and political repression of the minority who managed to remain in their homeland. CUPW’s resolution is a clear statement to the world that when the states of the world stand behind oppression and apartheid, it is up to the people of the world to oppose it. Every passing week demostrates the urgent need for a strong popular movement against Israeli apartheid. Last week, Israel once more stepped up the violence of its bloody siege of Gaza, leaving dozens of Palestinian civilians dead. Israel continues to impose collective punishment on the 1.5 million Palestinians of Gaza, who live with chronic shortages of electricity, fuel, food and basic necessities as a result. We call on all workers and labour unions to join CUPW in creating a strong and effective boycott movement to help bring an end to this injustice and violence. + 1 613 563 7861 or email care of tadamon[at]resist.ca. * Ask your union, community group, association or collective to follow CUPW’s lead and adopt a position in support of the international campaign for boycott, divestment and sanctions against Israeli apartheid. of the AFL-CIO and it’s relationship with Israel. CUPE Ontario’s International Solidarity Committee. the social and economic problems on Palestinian people in Israel. Palestinian workers inside Israel. Their home is a mall.